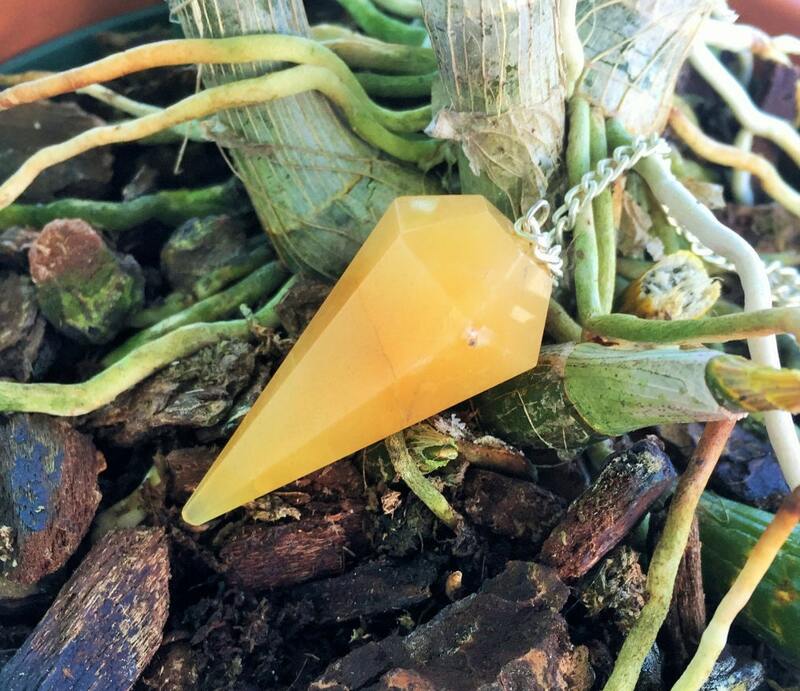 The golden Yellow Aventurine crystals fills one with compassion and understanding, alleviating grief and centering the emotions. 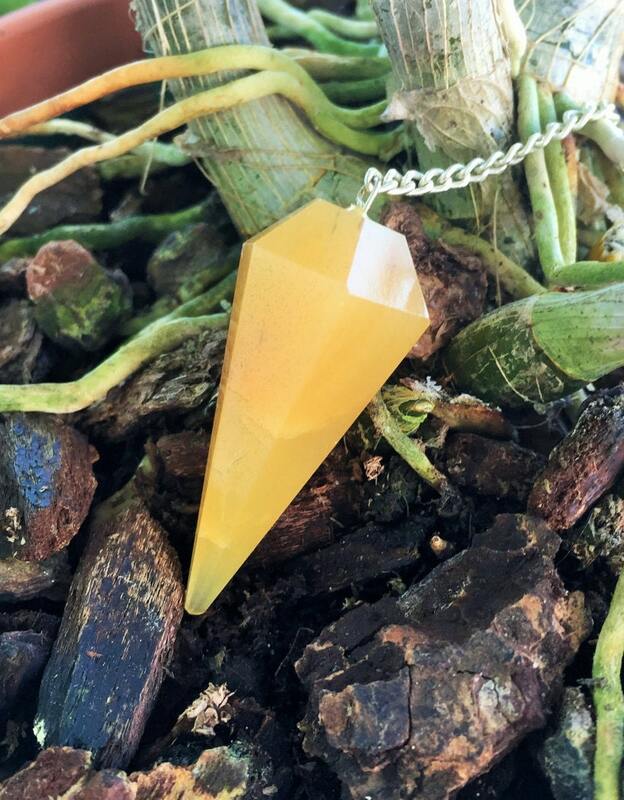 Yellow Aventurine pendulum balances the Yin-Yang energies, eases anxiety and expands the flow of creativity. This listing includes ONE (1) similar pendulum. Pendulums are 6-sided with a silver chain that has a tumbled clear quartz nugget or clear quartz bead at the end. The pendulums measure about 7" long with the gemstone itself measuring approximately 1.5"-2" long. 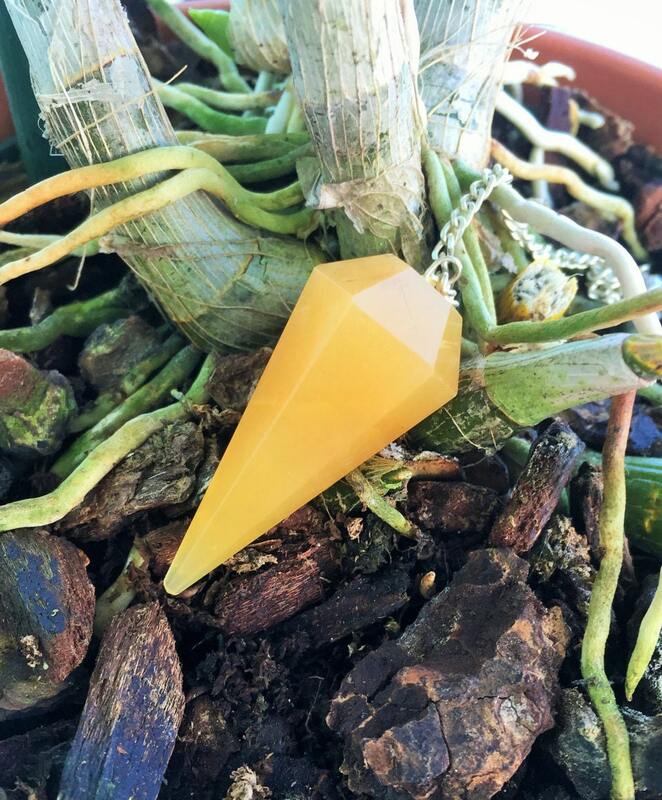 Yellow Aventurine is great for opening and balancing the Solar Plexus Chakra. Those who are oversensitive or indecisive can also benefit from Yellow Aventurine for balancing energies.